The Algarve is Portugal’s infamous bastion of summer tourism. 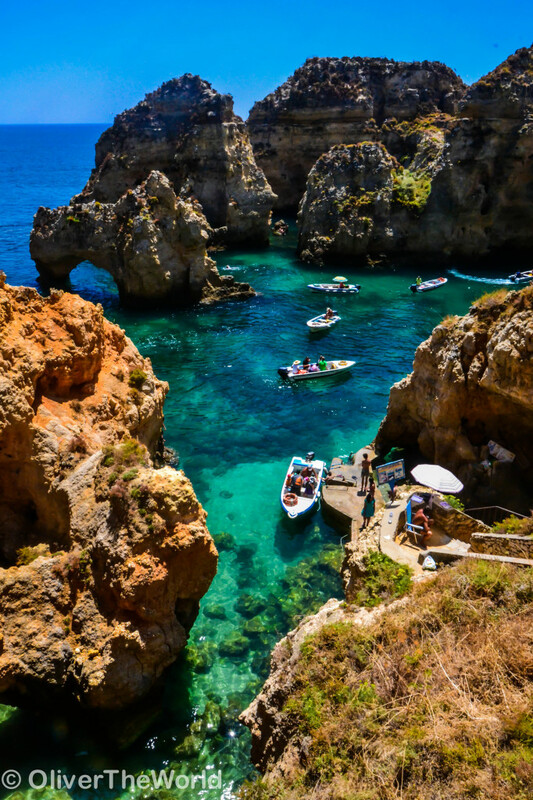 Young Germans and Brits come in droves to places like Albufeira and Portimao to prop up the country’s stagnating economy with countless euros spent on over-priced one-star hotels, beachfront caipirinha shacks and rental sun loungers. As we hurried through the urban sprawl surrounding the booming Praia de Rocha, we counted more dodgy-looking joints advertising a full English breakfast than we did in any London suburb. 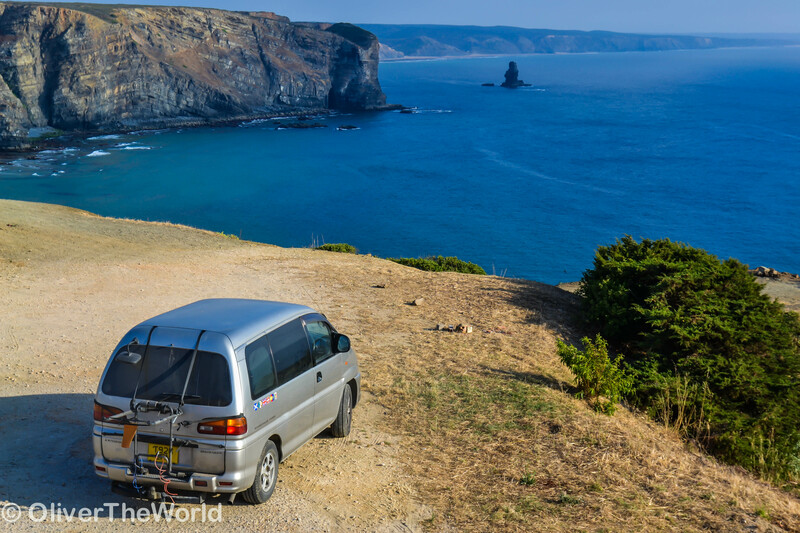 After traveling for nearly a month in a country that we had already fallen in love with over and over again at every new turn, it was immediately evident that the 100 km stretch along Portugal’s southern coast was not for us. Knowing this, how could the Algarve have held us in its thrall for the better part of the month of July? We discovered the answer to that question in the region’s often-overlooked western, Atlantic-facing frontier. 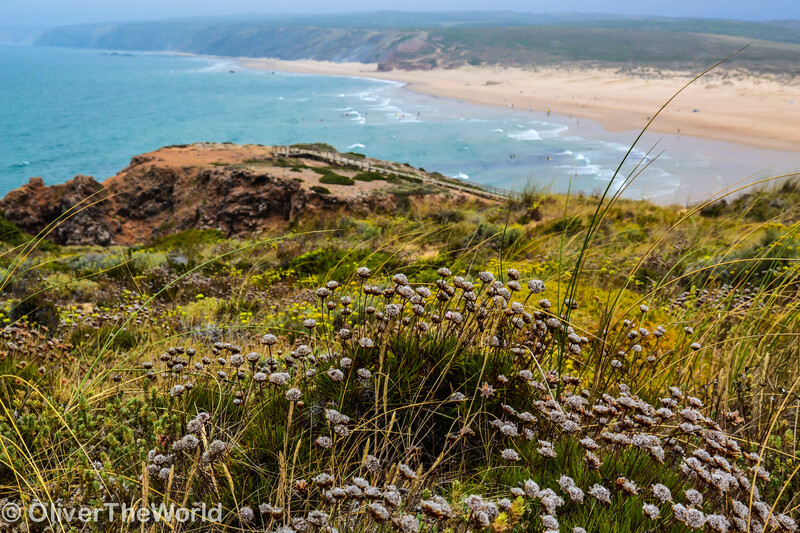 Long the domain of migratory surfer types and naturalists, approximately 120 kilometers of lesser-developed coastline forms the protected Parque Natural do Sudoeste Alentejo e Costa Vicentina. 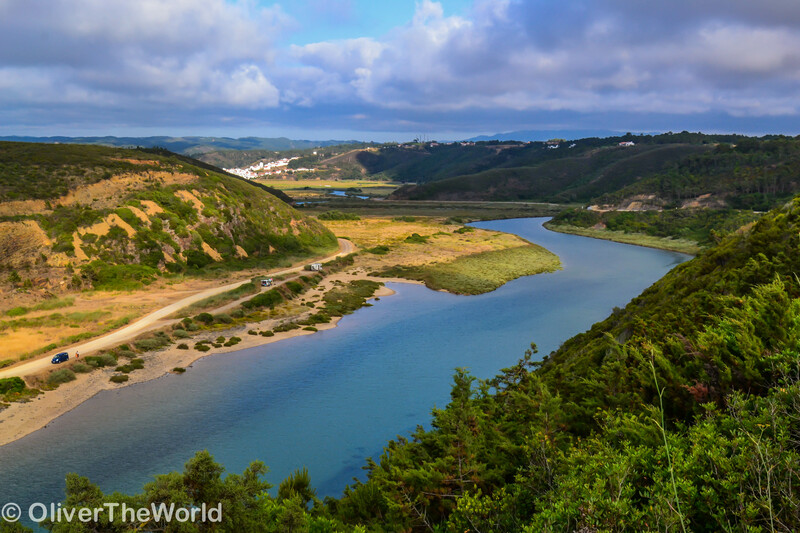 Far from the arterial A2 that leads straight into the Algarve’s most hectic harbors, the N-120 is a simple two-lane road that rambles through cork oak forests and scrubland and occasionally branches off westward towards one secluded beach after another. It was here that we found our home among the cold waters and broad beaches of the Algarve’s forgotten coast. Odeceixe Following the path of the Ribera de Seixe as it flowed through a valley to the sea, we found the Praia de Odeceixe. A gorgeous, little knob of sand was surrounded on one side by steep cliffs. Surveying it all from a lofty height was a small village consisting of little more than a few cafes, a surfboard rental outfit, and a few rented rooms. The Beaches of Aljezur: For the better part of two weeks, the two beaches that branched off from the town of Aljezur; Praia de Monte Clerigo and Praia de Arrifana, formed our home base. 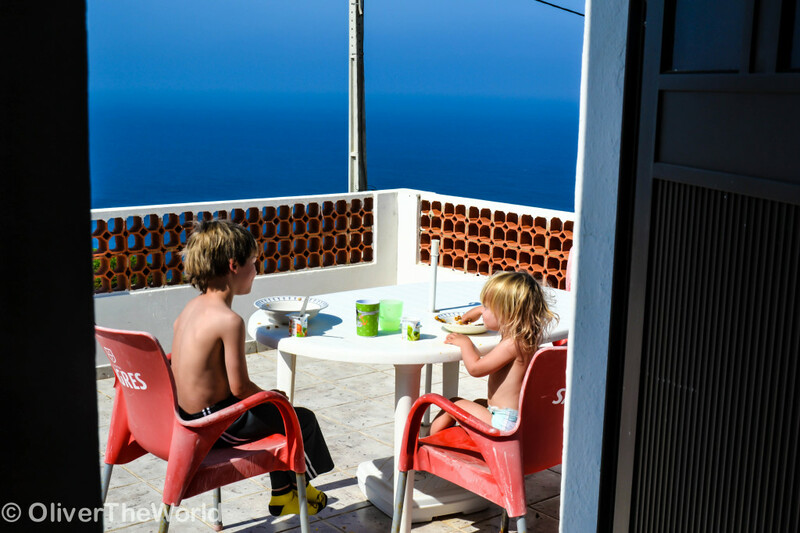 An afternoon spent inquiring in pidgin Portuguese at a handful of restaurants finally bore fruit in Arrifana where a local family was game to rent the small apartment that sat above their little café for fifty euros a night. Despite it being a one bedroom where both kids shared a sofa bed in the living room, Charlie In the Chocolate Factory-style, it was perfect for us in every way. 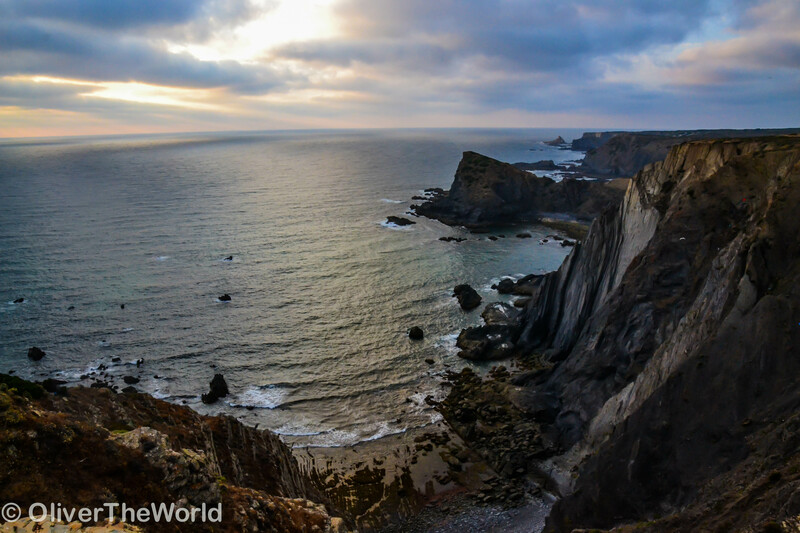 From the terrace, sweeping views over Arrifana’s cove (complete with a token sea stack!!) were ours and ours alone. This particular beach was a gem: the teal-blue Atlantic swept over a crescent-shaped beach whose pale sand was cradled by stark, black sea-cliffs. 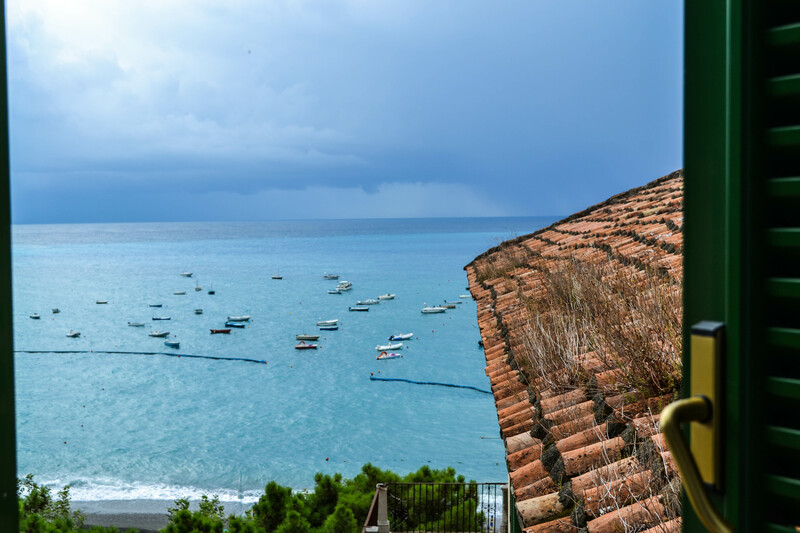 Three marisquerias (specialty: monkfish rice) lined the dusty road that led from the hair-pin track winding down to the water to a decaying fort that had been built in the 17th century to repel Napoleon’s navy. In the evenings, we thwarted the local mosquitos with the grill smoke emanating from barbequed Dorado that had been caught off the coast. A five-minute walk down the road brought us to a enterprising fellow who made a summer-time job out of ferrying beachgoers down the cliff in his 4×4 in exchange for a small tip. The famed right point break known to form off the beach’s northern end failed to materialize for us the entire time we were in residence, and we were referred to Monte Clérigo, which supposedly worked when Arrifana was off. We soon learned, however, that the entire Southern Atlantic, from Bordeaux down to Morocco, hadn’t seen any sign of a swell in more than two weeks. The surfers’ loss was our children’s delight; what was nearly always a treacherous coastline was instead as still as a bathtub for days on end. Praia de Vale Figueira: This vast and empty swath of sand spread out just behind our cove in Arrifana and ran south for nearly fifteen kilometers. It was poorly marked from the N-120 and accessed by a long, winding unpaved road. Kendley decided to go au-Naturaliste on this one, as her only neighbors consisted of the handful of kids from the local surf school and an occasional osprey. 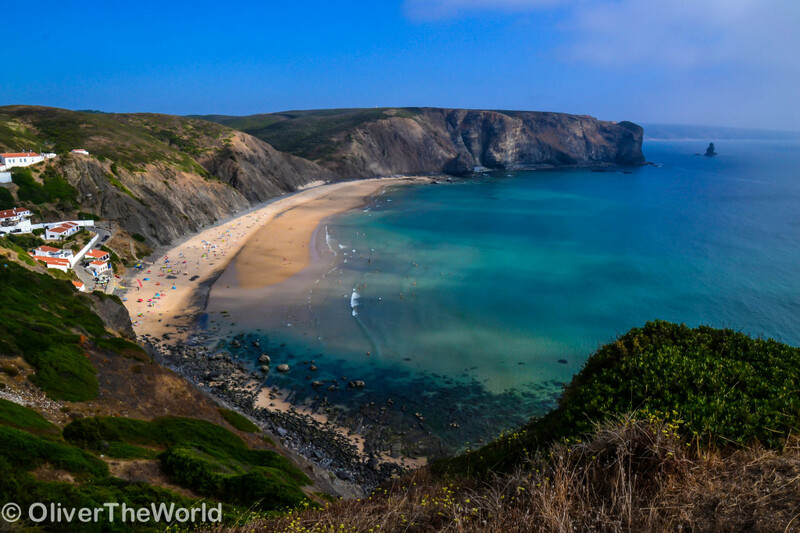 Carrapateira (Praia de Amado & Bordeira): Some of the Costa Vicentina’s most savagely gorgeous coastline is split between Carrapateira’s two beaches. A series of meandering boardwalks hovered timelessly over the amaranth and thyme-draped dunes that connected Amado and Bordeira via the Pontal de Carrapateira. In between places was an endless fossilized seacoast; calcareous cliffs that had been eroded by rain and waves into ragged pits, caves, grooves and funnels. The limestone melted around insoluble red clay banks near the beaches, and the reminder that Carrapateira is a world-class surf destination came suddenly upon us at Amado. The full force of the Atlantic concentrated itself into a consistent beach break that drew an international crowd. A German hitchhiker we picked up said it was his favorite wave, despite the fact that conditions had been way off for the past several days (cue the smoke billowing out of my ears). We seldom ventured south of the Vicentina for fear of the crowds. 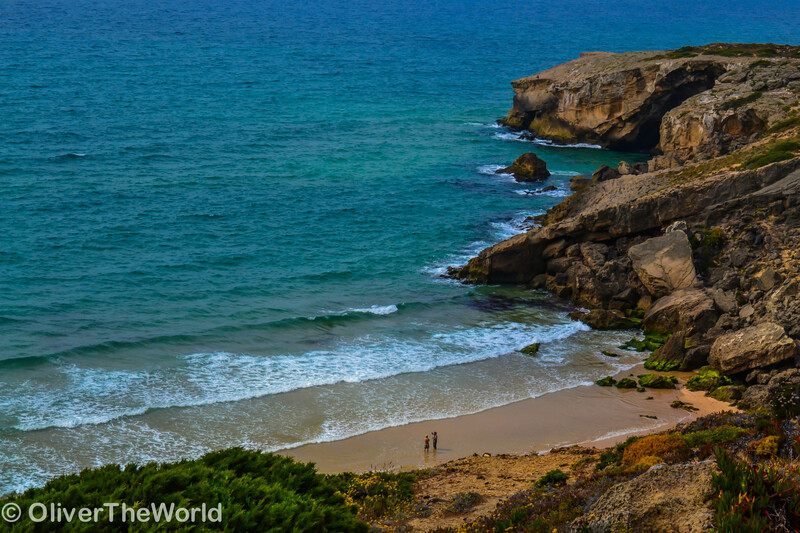 We made one exception to visit the dramatic headlands, lighthouse and tour buses at the Cabo de São Vicente near the point of Sagres at the Algarve’s extreme southwestern corner. While several civilizations have assigned great significance to this area (the Romans believed the sun sank into the ocean near Sagres, thus marking the edge of the known world), the cape gained its name from the more modern tale of the martyred Saint Vincent, whose body was said to have washed ashore near the foot of the cliffs some time in the 4th century. 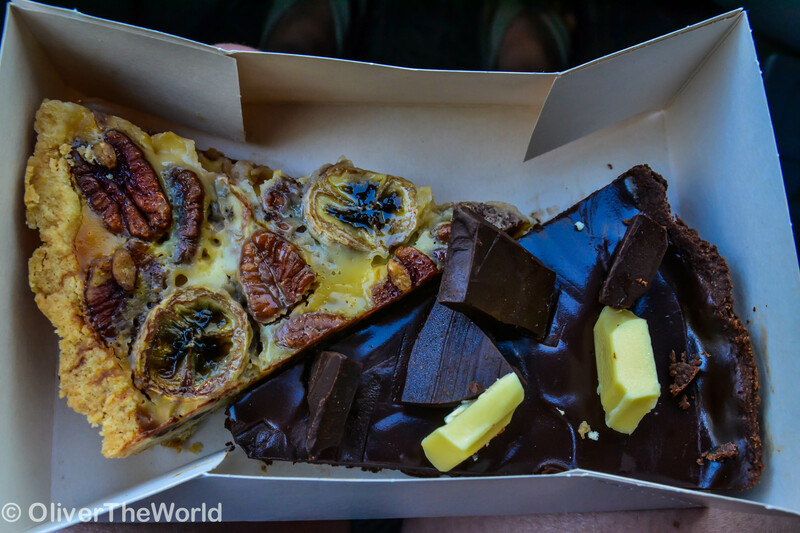 Turning east, there were decent beaches at the Brit-haunts of Luz and Salema, but more memorable were the decadent, organic, made-from-scratch treats at Chicca’s. 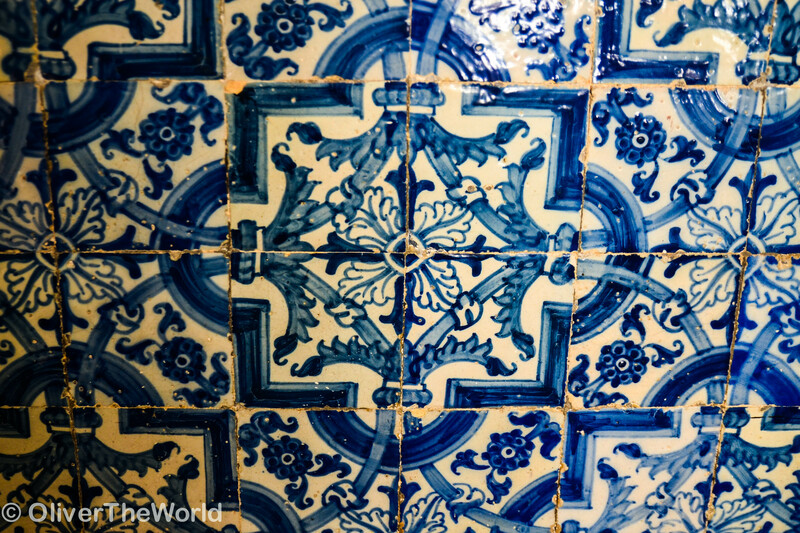 Finally we reached Lagos, the first real tourist town along the southern Mediterranean stretch of the Algarve. That meant the beginning of the onslaught of tourist menus, bead sellers, dingy rentals, and beaches brimming with bodies. 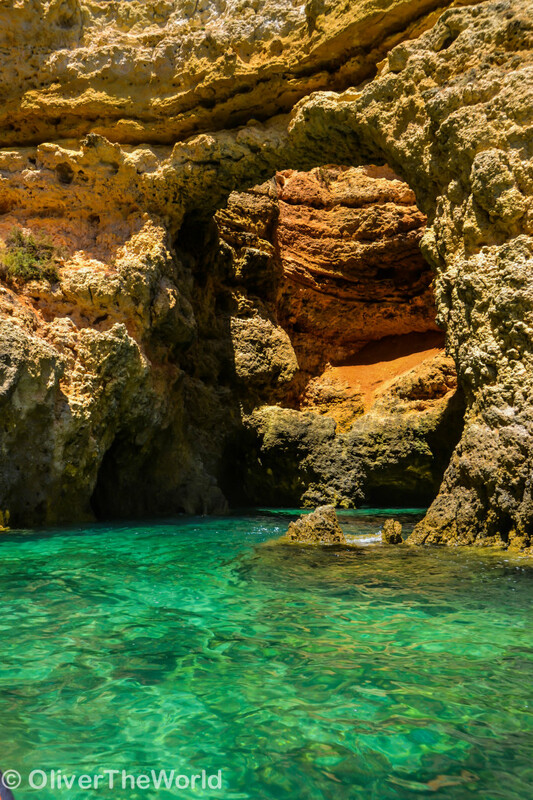 But it was also the home of the Ponte da Piedade, a surrealist’s seascape containing stone grottos, natural arches and bizarre shapes that serenely stood in stark contrast against emerald-hued water. 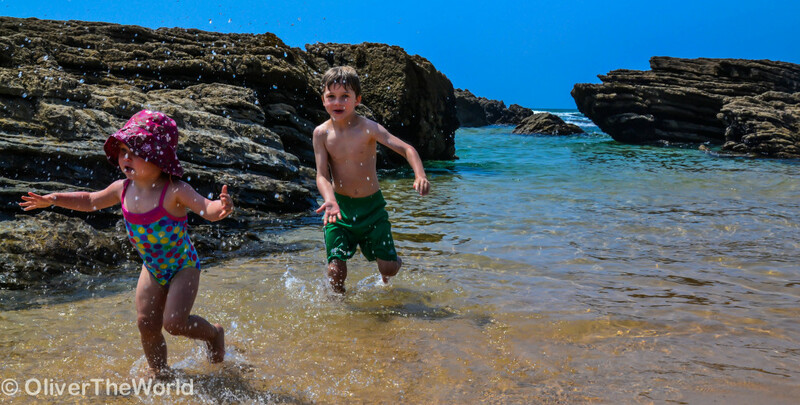 In altogether too short a time, our two weeks in the southwestern Algarve came to a close and we found ourselves trading sand and swimsuits for the Alentejo’s relentless heat. 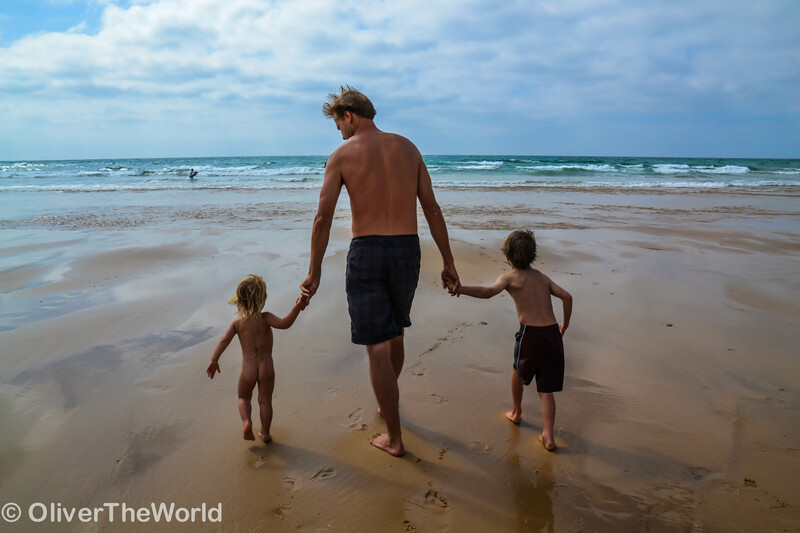 From where we stand today and from where we’ll be in a month or a year from now; those long, wild Atlantic beaches of the Costa Vicentina seem as far away as the ends of the earth. That’s how we know we’ll be back. Posted from Bordeira, Faro District, Portugal.